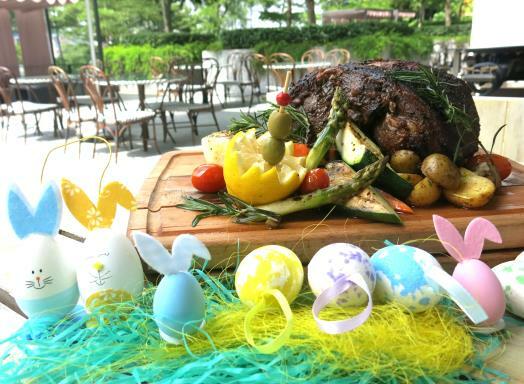 Discover an eggs-hilirating Easter eggs-perience on Sentosa Island with a plethora of grilled delights, luscious grazing platter, refreshing tropical island-inspired drink and egg-citing activities for the littlest ones! 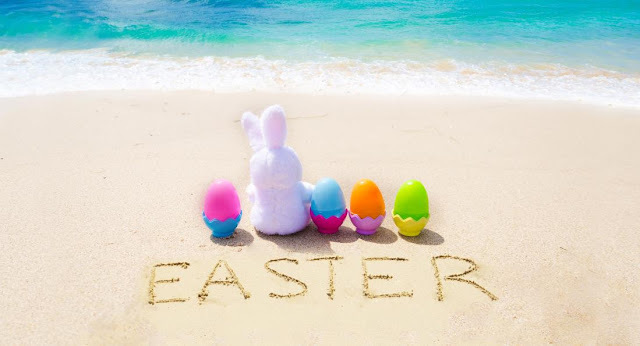 Join MERIDIEN SINGAPORE, SENTOSA this Easter holiday with an eggs-traordinary eggs-perience in the lush, tropical island destination of Sentosa! 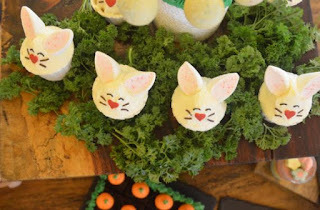 Be treated to egg-straspecial delights like leg of lamb with lemon and olives, a lush grazing platter featuring an abundant assortment of dried fruits, fresh fruits, cheese, ham, crackers, bread, nuts and vegetables, as well as soft, rich and creamy burrata cheese with Roma tomatoes and basil and the quintessential hot cross buns. Enjoy a selection of succulent favourites like roasted chicken with herbs, Wagyu beef, beef lasagne, grilled prawns and more. 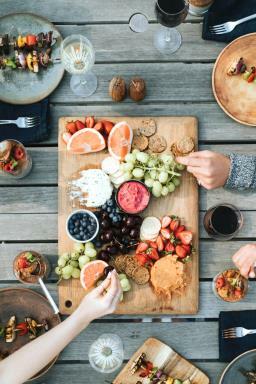 Do not miss out on other culinary highlights like fresh seafood on ice, strawberry spinach salad with almonds, pear, walnut and blue cheese salad, cream of wild mushroom soup, gratinated cauliflower with cheese, baked potatoes with bacon, sour cream and chives. What’s more, have a taste of Asia with classics like Singapore laksa, black pepper char kway teow, Chinese-style roast meats and salted egg prawns. 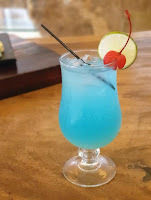 Chill and have a refreshing welcome drink on them – the Blue Island (shown above) – an eggs-hilirating concoction of blueberry cordial syrup, lime juice, soda water with a touch of lime. 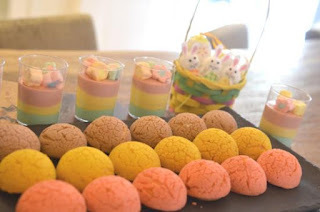 Savoury bites like pasta Bolognese, spicy wedges and an egg-citing dessert table with sweet Easter treats like the Easter bunny cake, carrot cake, chocolate hazelnut crunch cake, rainbow-hued verrines, macarons, cake pops, cupcakes and fluffy candy floss await to excite the senses of sweet-toothed littlest ones! 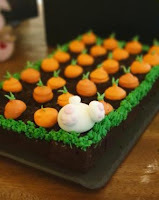 Find the bunny which got away in the dirt brownie cake and ignites the kids’ imagination with egg-citing activities like egg-painting and balloon twisting too. Children aged 06 and below dine for free! For dining enquiries or reservations, call +65 6818 3305 or e-mail latestrecipe.singaporesentosa@lemeridien.com. For inspiring offers, please visit www.lemeridiensingaporesentosa.com. Just order in your favourite food and drinks from Starbucks via GrabFood (min. order $20) between 11 March – 7 April, from 3 – 7PM with the promo code STARBUCKS for 50% OFF your total bill. Discount is capped at $10. Other T&Cs apply. $1 Deals just got bigger & better! You now have 4 deals to enjoy every 2 weeks, for $1 with no delivery fees*. *Start ordering 2PM daily, between 18-31 March 2019 while stock lasts. Quantities refresh daily. T&Cs apply. Order your favourite $1 deal now! New GrabFood users enjoy a free meal (capped at $18) with promo code FREEFOOD. *No minimum spend required. Get your free meal here now (Unknown end date). Where will you take your taste buds this Sampling Week? Order now and find your new favourite! 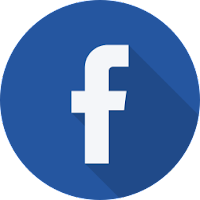 Next Sample Week starts on 18 April 2019. T&Cs apply. GrabFood promotion: $8 OFF your first GrabFood orderPromo code: 8CRAVINGS. Order now (Unknown End Date). 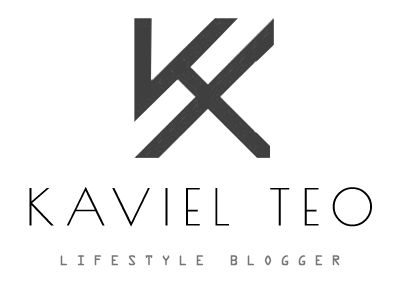 Key in promo code HAWKER to enjoy free delivery for merchants under the Hawker Picks. End date is unknown. Promo code CHOPSTICKS. Order now (Unknown End Date). Now on GrabFood, enjoy their 4 attractive combo deals that are specially catered just for you! a. GrabFood Meal 1 at $6: 1 x Cheese Pancake, 1 x Hazelnut Pancake, 1 x Classic Soya Milk, 1 x Black Soyal Milk. b. GrabFood Meal 2 at $10: 1 x Hazelnut Pancake, 1 x Honey Baked Chicken Ham & Cheese Eggwich, 1 x Classic Soya Milk, 1 x Pearly Taro Soyal Milk and 1 x 3-in-1 Riceballs. c. GrabFood Meal 3 at $11: 1 x Red Bean Pancake, 1 x Cheese Pancake, 1 x Honey Baked Chicken Ham & Cheese Eggwich, 2 x Classic Soya Milk, 1 x 3-in-1 Riceballs and 1 x Grass Jelly Drink. d. GrabFood Meal 4 at $17: 1 x Red Bean Pancake, 1 x Cheese Pancake, 1 x Hazelnut Pancake, 1 x Honey Baked Chicken Ham & Cheese Eggwich, 2 x Classic Soya Milk, 1 x Black Soya Milk, 1 x Pearly Taro Soyal Milk and 2 x 3-in-1 Riceballs. No promo code is needed. Subscribe to GrabClub at $7.99/month to be entitled 30x free GrabFood deliveries* monthly. *As a special launch offer, you’ll also get $10 off ($20 min spend) and $5 off ($10 min spend) your GrabFood orders too. Enjoy FREE DELIVERY on all items under the “Set Meals Week” category with the promo code GOBIG. 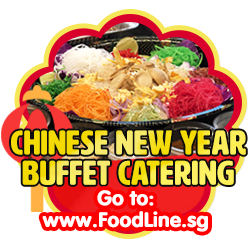 Enjoy hearty, full course meals from SO PHO, Bali Thai Singapore, Streats Cafe, Arnold’s Fried Chicken (S) Pte Ltd, Pezzo Pizza SG, Kay Lee Roast Meat , PastaMania (Singapore), Kraftwichsg, Commons SG, The Beast and more! Promotion end date is unknown. Get your set meals now. New GrabFood customers can get $8 off the first order with promo code MEALOFF8. Order can only be made with GrabPay. 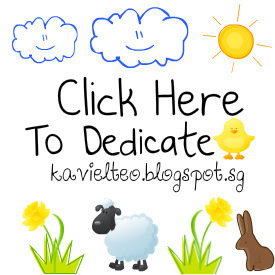 Promotion ends 30 Mar 2019. Order your meal with GrabFood now. Use 5OFF3 to enjoy $5 off your next 3 GrabFood orders. No minimum spend is required but a delivery fee of $3 is required (Unknown End Date). Get $200 Grab promo codes when you apply for a Citibank card now! Valid for new-to-bank customers. 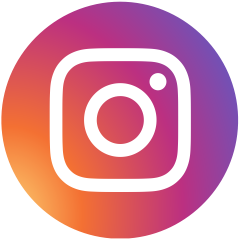 Existing customers receive $30 Grab codes. Applicable upon card approval. Promotion ends 31 Mar 2019. 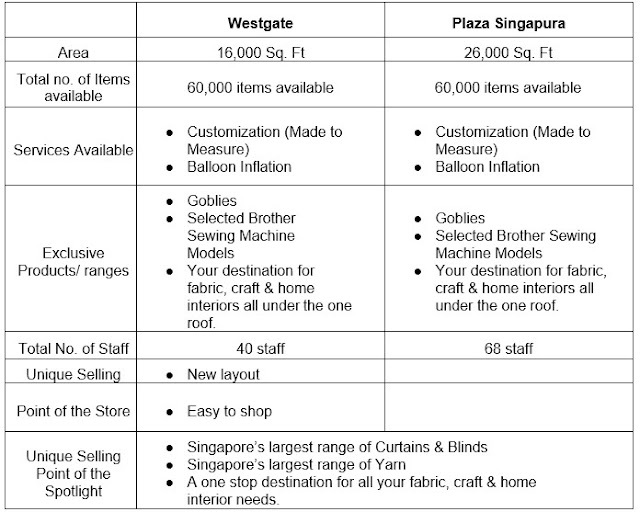 Information obtained from SGDTips, do visit SGDTIPs for the most updated promotions on the "Grabfood App". Is McDonald's® Crispy Chicken & Chocolate Pie worth being 'hyped' up for? McDonald's® recently brought back the Chocolate Pie alongside the "Crispy Chicken." To be honest, the patty does indeed taste somewhat similar to that of the McSpicy®, but I'll leave you to be the judge of that. I'll rather stick to my McSpicy® that serves thicker and juicier meat as compared to the all-new "Crispy Chicken." As for the Chocolate Pie, I did not manage to try it out previously but managed to do so when I was purchasing supper back for my brother. The overall taste of the chocolate pie was still okay... but I felt that the pie was a little too sweet for me. The entire chocolate pie feels more like a chocolate overdose rather than a simple dessert. I feel that McDonald's® could make the pie better by balancing out certain aspects of the chocolate pie to make it unique and special. They could swap out the chocolate crust with something else rather than making the entire chocolate pie, just simply chocolate. I feel there must always be a balance when we're having dessert and I'm not sure if most of you might agree but I think it might taste even better with the ordinary "Apple Pie" crust or something lighter and fruity. I still do urge you guys to try it out yourselves as everyone has their own personal preference and perspective of the food that they eat. PS: No offence to those who love these two additions to McDonald's® Menu, as I'm just sharing my own personal views of the "Crispy Chicken" & "Chocolate Pie." Quoted from Mcdonald's Official Facebook Page: "Our new Crispy Chicken - a generous piece of crispy, juicy, tender thigh meat that hits the spot every single time. 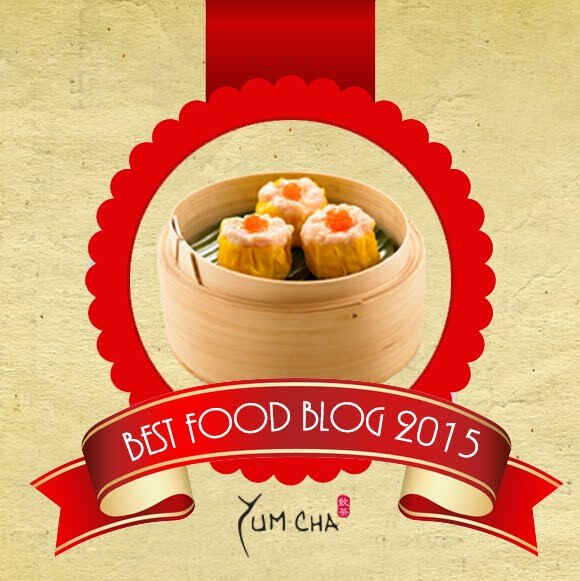 It's so tasty you'll want to have it again and again and again!" Quoted from Mcdonald's Official Facebook Page: "Look no further. The Crispy Chicken is all tasty thigh meat and no bones! You’ll love every crispy, juicy, tender bite. Order Now"
Quoted from Mcdonald's Official Facebook Page: "When you're so into Crispy Chicken and you just can’t stop, won’t stop. Satisfy your cravings and order now at: https://www.mcdelivery.com.sg/"
Quoted from Mcdonald's Official Facebook Page: "Discover crispiness, juiciness, tenderness… in every bite." Quoted from Mcdonald's Official Facebook Page: "Introducing the new Crispy Chicken, an all-rounder in every way. Enjoy full flavours with each crispy, juicy and tender bite. Make it even better with golden curls of Twister Fries™ on the side and your all-time favourite Chocolate Pie for dessert." Coffee, the popular dark brew consumed daily by many is no longer just a ubiquitous beverage. Coffee is increasingly becoming a part of the lifestyle of many today, including in Singapore and in many cities of the Southeast Asian region. The coffee trade in the ASEAN region is charting a steady growth, with the dynamic coffee industry resulting in the emergence of some coffee export giants such as Indonesia, Laos, and Vietnam. 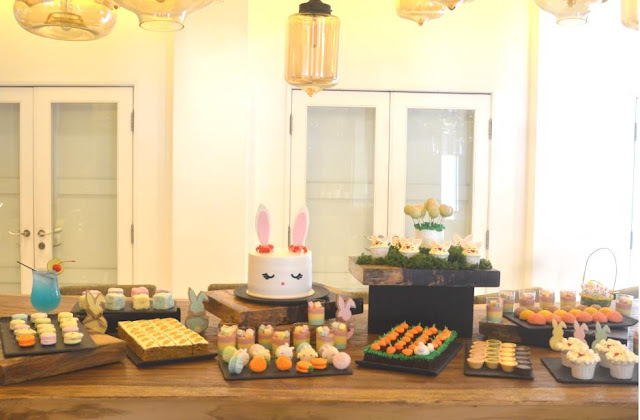 Following this, Singapore and other cities in the ASEAN region are witnessing the burgeoning of the vibrant cafés and coffee joints where coffee and tea regular consumers and connoisseurs alike would gather to enjoy their cuppa along with delicious pastries and cakes. In order to respond to the needs of the growth of such the coffee, tea and the pastry scenes, business owners and key players from the coffee, tea and bakery industries will come together at Café Asia 2019, the 7th International Coffee & Tea (ICT) Industry Expo, as well as the 6th Sweets & Bakes Asia; to foster new collaborations, explore opportunities, and to present the latest trends and developments to trade professionals and members of the public. The three shows will offer a one-stop convenient sourcing hub for the F&B industry. Cafe Asia 2019 will also showcase an array of coffee beans sourced from the coffee bean-growing countries around the globe, various equipment, machinery, accessories, supplies and products for the effective running of cafes and tea houses at the Marina Bay Sands Singapore Expo & Convention Centre (21 to 23 March 2019). Spanning a gross exhibition area of 7,000 square metres, the shows will be headlined by more than 250 exhibitors from 24 countries and are expected to attract over 10,000 restaurateurs, baristas, café and coffee purveyors, coffee roasters, tea and baking ingredients suppliers, equipment distributors, and members of the public over three days. A key highlight of the show this year will be the inaugural ACF Specialty Coffee Auction which will make its debut at Café Asia 2019 on 22nd March 2019. A joint event by the ASEAN Coffee Federation (ACF) and CEMS, the auction will feature coffee of speciality grade from participating exhibitors of Café Asia and from ASEAN. All the beans on auction have been graded to meet ASEAN’s very own set of Coffee Standards which focuses on coffee beans cultivated in the ASEAN region. The set of ASEAN Coffee Federation Standards is an excellent tool to boost the growth of the coffee industry in ASEAN which features key differentiation from existing standards originating from the west. The auction is attractive because the speciality coffee beans offered to observe a dedicated process to acquire better quality beans. This year the three shows will be joined by the inaugural Restaurant Asia 2019 (RA 2019). Organised by the Restaurant Association of Singapore (RAS) in partnership with Conference and Exhibition Management Services (CEMS), the inaugural exhibition will present a dedicated showcase of the latest in cutting-edge restaurant, kitchen and culinary equipment, as well as solutions and supplies that will address the needs of restaurant owners, from front of house reception to the back of house operations. In addition, the first ever Restaurant Asia Symposium 2019 will be held at the show, as well. The symposium theme, Futureproof F&B: The Next Lap, holds the promise that this knowledge platform will share invaluable insights on productivity, capability development and leveraging on relevant technologies to future-proof the F&B business. Among the topics to be presented at the symposium is Menu Re-engineering ForProfit Maximisation on 21 March 2019, led by Mr Chen Xin Shi, Managing Director of the illustrious Han Yuan Academy, a Taiwan-based organisation which provides consultations and classes for restaurateurs and the food & beverage industry. 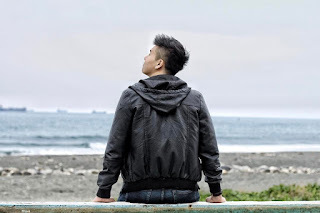 Classes and consultations conducted by Mr Chen are known to have leaders and players of the local and international food & beverage industry flocking into Taiwan for his invaluable insights and knowledge. During the presentation at the symposium here, Mr Chen will be sharing knowledge on actionable steps to increase top-line through an understanding of customers and restaurants' value perceptions and needs. Through strategic menu design and mixed management, restaurant owners will be able to enhance customer satisfaction and maximise unrealised profits. Visitors at the show will also be treated to a high-octane three national-level coffee championships. These competitions will see Singapore’s home-grown baristas, brewers, latte artists, coffee cocktail artists, and students contend in the Singapore Latte Art Championship, Singapore Cup Tasters Championship and the Singapore Coffee in Good Spirits Championship. Winners of the respective national titles will represent Singapore on the international stage at the world championships later this year. Over three days, visitors and bread-lovers will be able to attend cooking studio workshops and demonstrations at the show. Activities will include hands-on sessions on baking the classic Ham Mayo Bread treat, workshops on baking the soft and fluffy Souffle Cheesecake, as well as demonstrations on how to bake the all-time favourite flourless Gateau au Chocolat. Cocktail lovers will also be feted with three daily demonstrations by coffee experts on how to concoct coffee cocktails using coffee liqueur. You and your camera crew are cordially invited to the official opening of Café Asia 2019, International Coffee & Tea Industry Expo 2019, Sweets & Bakes Asia 2019, and Restaurant Asia 2019 to celebrate the dynamic growth of the region’s spirited café culture, as well as the vibrant Food & Beverage and restaurant scene. 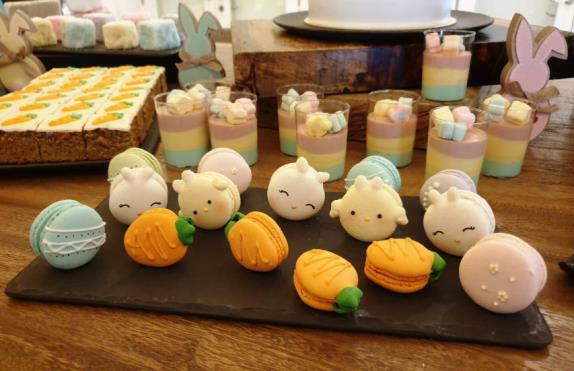 Café Asia 2019, the International Coffee & Tea Industry Expo 2019, and Sweets & Bakes Asia 2019 are organised by Conference & Exhibition Management Services Pte Ltd (CEMS). Café Asia 2019 and International Coffee & Tea Industry Expo 2019 are hosted by Singapore Coffee Association. 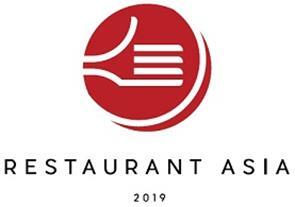 The inaugural Restaurant Asia 2019 is organised by the Restaurant Association of Singapore (RAS) in partnership with CEMS. 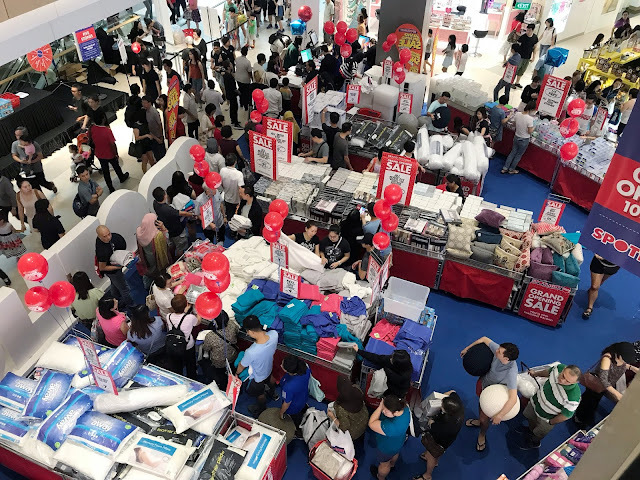 Australian retail giant, Spotlight, known for its fabrics, craft and homeware products, opened its second store in Singapore early this month on 10th November 2018, Saturday. The store is located on the third floor of the Westgate mall and it spans a total of 16,000 sq.ft in area. To celebrate the opening, Spotlight gave away free Pillows to the first 200 visitors to the store in addition to games, giveaways, activities, face painting, balloons and more! It was a fun-filled day for families! Close to 300 people queued at Westgate mall for the opening of Spotlight’s second store. The first person in line started queuing as early as 6 am and the queue grew up to 300 people. Products such as the 'Living Space' Gumball Ottomans and Memory Foam pillows were flying off the shelves and had to be constantly restocked. 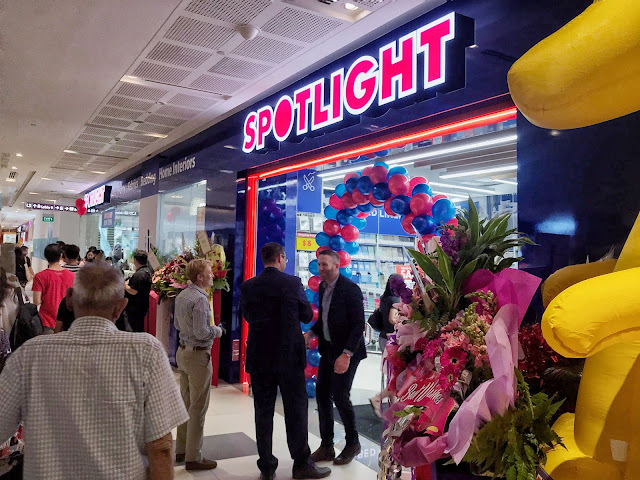 Even though Spotlight's newest outlet may not be as big as the main store in Plaza Singapura, Orchard Road (near Dhoby Ghaut MRT Station), they still have a wide variety of products available owing to the new modernized layout that is relatively more compact. I was there at the launch that day and I was shocked to see so many customers there. I overheard an aunty saying "finally there's one in the West." 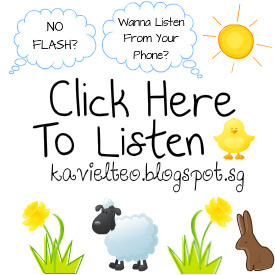 I believe it was a good call for Spotlight to open an outlet on the West side of Singapore, making it more convenient for "Westies" like me to get our household products with ease. 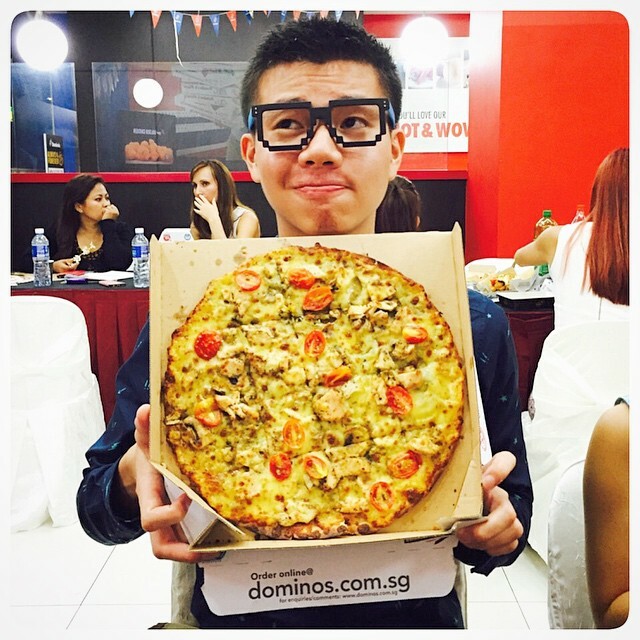 Still feeling the blues from the Singles Day aftermath? Don’t fret just yet, the next big travel sale is just around the corner! Fulfil your wanderlust by taking advantage of the massive discounts on offer at this year’s Black Friday and Cyber Monday bonanza. Expedia.com.sg is offering up to 50% off hotels* at the Expedia Black Friday Cyber Monday website, alongside exciting discounts on package deals starting this Friday 23 November, at 9am SGT#. #Expedia.com.sg’s Black Friday & Cyber Monday deals are applicable for travel from 23 November 2018 to 31 March 2019. From 23 November (0900hrs) to 26 November (2359hrs), get up to 8% off selected hotels*. To sweeten the deal, you can also receive one 50% off coupon on selected hotels* on 23 November (0900 hrs to 2359 hrs) ONLY! Grab it fast, as these are based on limited availability on a first-come, first served basis! And if you don’t manage to get your hands on the 50% off coupon on Black Friday, don’t fret as Expedia will still be offering 30% off on selected hotels* on Cyber Monday, 26 November (0900 hrs to 2359 hrs)! Receive SGD$700 off selected package deals* with a minimum spend of SGD$1,400 on 23 November (0900 hrs to 2359 hrs) ONLY. And if you miss this, hang tight till Cyber Monday on 26 November, where you can receive up to SGD$150 off selected package deals with a minimum spend of SGD$1,400 from 0900 hrs to 2359hrs! With five times more deals than last year, Expedia recommends preparing ahead of the sale in order to maximise your savings – and here’s a quick lowdown on how you can gear up to get the best travel deals. Travel dates for the deals available at Expedia.com.sg’s Black Friday and Cyber Monday sales are from 23 November 2018 to 31 March 2019. We recommend locking in holidays dates during the period with your manager and travel companion ahead of the sale, that way you can book the trip right away. Fastest fingers first! As coupons are available on a first-come, first served basis and limited in quantity, start thinking about where you want to go, and get a head start on shortlisting your preferred flights, hotels or packages on your Expedia “My List” ahead of the sale. As not all hotels/flights are included in this sale, we recommend choosing a handful of options so you can grab your deals quickly before they are gone! Consider looking at alternative neighbourhoods when searching for hotels in popular cities. Hotels in business districts in cities such as London, Tokyo or Paris often offer fantastic prices over the weekends. 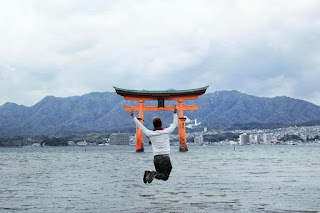 And while you’re saving more, you also get to discover more than the usual popular tourist areas. Download the Expedia app and shop as an Expedia Rewards member (membership is free) if you haven’t already done so. 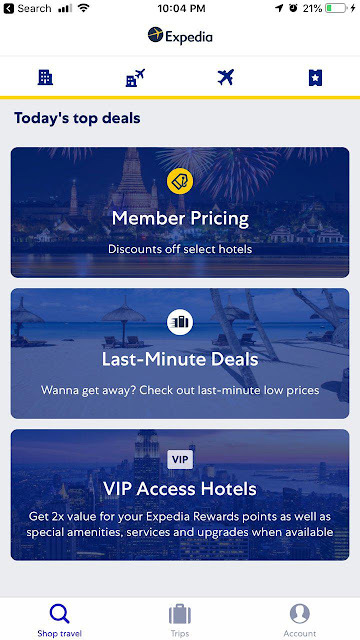 You can unlock access to the "members only" experience and get double the Expedia Rewards points on all mobile app bookings! What’s more, the extra 50% off hotel coupon is also redeemable on the mobile app – which means you will get more bang for your buck! 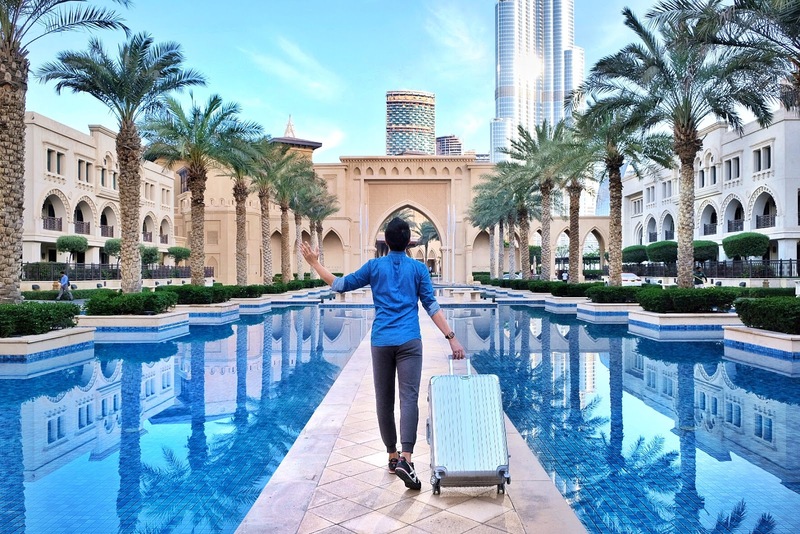 And if the great offers are not enough, you can still get access to great rates by either booking a package or by using Expedia Add-On which allows you to unlock discounts of up to 57% for your hotel after booking either a flight or package. Strategy-wise, it’s clear – book your flights first before tackling accommodation to save! With so many great deals, you’ll definitely be able to go on your dream holiday at amazing prices – so start preparing right away and be ready when the clock turns 9am on 23 November 2018. Happy shopping! For more information, visit the Expedia Black Friday Cyber Monday website.